Dell’Arte is the work of an extraordinary community of artists located amidst the majestic redwoods and rugged beauty of California’s North Coast. 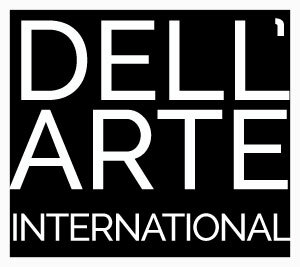 Dell’Arte International is the North American center for theatre training, research, and performance of the actor-creator. We are a committed community of artists who model and share in a sustained ensemble artistic practice. One of our deepest values is engendering the relationship between art and place, artist and community. We are a committed community of artists who for over 35 years have modeled and shared a sustained ensemble practice. DAI consists of a professional, international touring ensemble, the Dell’Arte Company; the Dell’Arte International School of Physical Theatre, offering a one-year certificate program and an accredited MFA in Ensemble-based Physical Theatre, the first of its kind in the world; and the annual summer Mad River Festival. We are organizational members of the Theatre Communications Group (TCG), Association of Theatre Movement Educators (ATME), and the Network of Ensemble Theatres (NET). International in scope, grounded in the natural living world, inspired by our non-urban setting, Dell’Arte International explores theatre making, theatre practice and theatre training for ourselves, the world and the future. Dell’Arte International seeks to create resonant works of theatre that are visceral, athletic and that engage the mystery underlying all experience. We revel in ferocious play. Reflecting the cultural, ethnic, social and historic diversity of our community as well as expanding it.